You are here: Home / Great Deals / Two Of My Favorite Things! Where did coupons come from? Who had the idea to do it first? I love the story of how coupons began, because for some reason since I was a child, I have LOVED the Coca-Cola company! 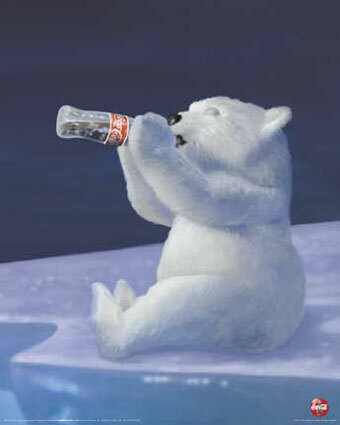 I love the songs, the commercials, the polar bears! I love the decor, the signs, the old bottles…the only thing about Coke I didn’t like EVER was New Coke! lol I apparently wasn’t alone, it’s not very often you even hear someone mention it, it’s like it was a bad time in history and we just don’t talk about it anymore. 🙂 Santa Claus, let’s not forget Santa! 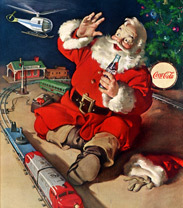 The image that most people have of Santa now came from the ads in the magazines from years ago that Coca-Cola ran! But, I digress..I wanted to tell you that the company I love so much was also the company that created the idea of coupons, one of my other loves! In 1887, Asa Chandler of the Coca-Cola Company, decided to have the company’s employees and sales reps give out FREE coupons for Coke! They also mailed them out and put them in magazines, so, not much has changed in the way we receive coupons from the way Coca-Cola did it in the 1800’s. We do have a couple of new ways, downloadable, printable, and mobile, of receiving coupons. But, we also still get them in the mail and in magazines and from the sales reps and employees! The Coke company gave soda fountains FREE syrup to cover the cost. It is estimated that between 1894 and 1913 one in nine Americans had received a FREE Coca-Cola, for a total of 8,500,000 FREE drinks. By 1895 Candler announced to shareholders that Coca-Cola was served in every state in the United States. * Not bad for a first time campaign and first ever heard of campaign! I LOVE Coca-Cola! So then what? Well, in 1909 C.W. 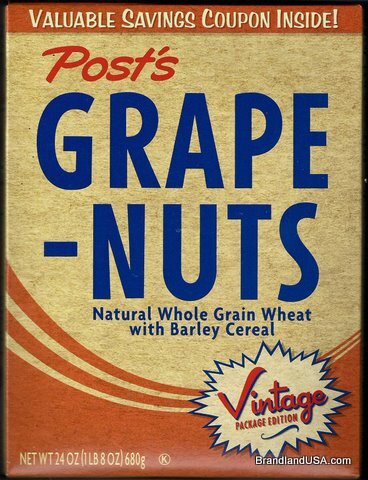 Post got on the bandwagon and decided to use coupons to help sell Post Cereal products! 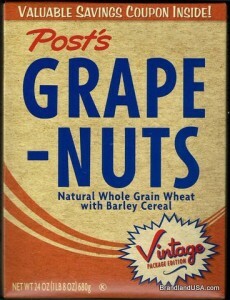 He put a 1¢ coupon in a box of Grape Nuts cereal hoping to get customers to buy another box. They went a step further than the Coke company and did extensive advertising, offered FREE samples, product demos, plant tours, and recipe booklets. Since then, we have come a long way, it is estimated that this year more than 318 billion dollars in coupons for packaged goods will be generated in the U.S. alone! Over 99% of them will be thrown away! That’s sad, especially for a nation that is going through rough economic times. The general consensus among non-couponers, is that it takes too much time for not enough savings. They determine that their time is worth more than they will save. I thought that years ago, I now know better! As well as saving tons of money each year on what I would purchase regularly, it’s the thrill I get from shopping now! It’s like a game! I LOVE to go and know I can get a better deal that what is advertised! I mentioned a minute ago that I save on what I would purchase regularly, not true! I would not purchase many of the name brand items I do now, if I didn’t coupon shop. In fact, I didn’t, I never bought the pricier brands, I didn’t think they were worth it. Now, ALL I buy are name brands, because that’s who puts out the coupons! So, I get the name brands for less than the generic store brand. So there you have it, Coca-Cola and coupon shopping 2 of my favorite things!